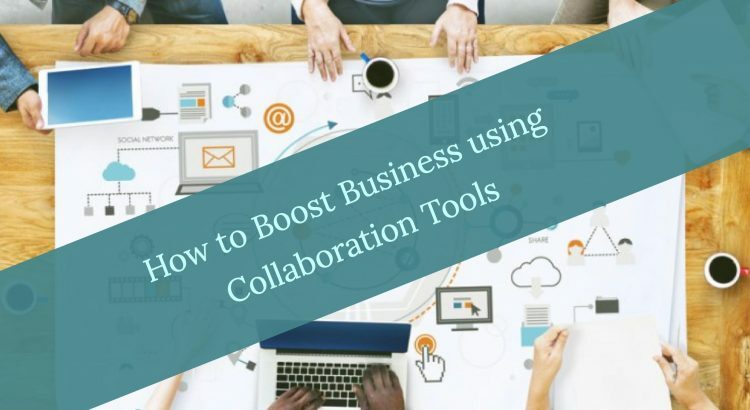 The first big advantage of many of the collaboration tools is that they’re far easier to oversee. It is now possible to create channels with specific people, about topics and bring people in as you need them. Even for help writing papers, you can ask an accountant privately. The way these have been constructed means that it’s much easier to oversee what has been said and done and where it was. This means that it’s easier to keep track of what’s going on. This is vital, particularly if you’re working with a large number of people, as often projects end up behind because people didn’t see important messages or forget to reply. With collaboration tools, it’s often much easier to keep people on track and aware of what’s going on, which prevents things grinding to a halt as a result of downtime. Sometimes chat works fantastically to coordinate, but sometimes you just want everybody to be in an actual real conversation, where people talk and listen. To have an ability to provide extra help through all stages of the working process. That’s a lot easier to do with a lot of modern-day collaboration tools and doesn’t require switching to another piece of software, making sure everybody has each other’s details and so forth. In that way you can move seamlessly between the two, which often makes it far more likely that you will. And a conversation is often a great deal faster than typing things out, that saves you time as well as confusion. Another great advantage of most collaboration software is how you can easily and quickly access different file types. Often they will have been built so that they can work together with most software packages, for example, the way that Slack deals with Google Docs, by making sure that everybody who can access the file that you’ve uploaded into the program can also look at the actual Google Doc. And that’s just one example. Almost all the big collaboration packages out there have such functionality, which means that you don’t have to fidget around to give permission and make sure everybody can do what they’re supposed to. The software does that for you instead. In that way, you can focus on what you’re doing, be it leading a project team. This is another great benefit, as sometimes it can be hell to find back files scattered across a whole network of computers, folders, files and subdirectories. With these tools everything will be in one place and you’ll be able to find them back. All you need to do is go back to the conversation that they were mentioned in – and that’s often a lot easier for us to remember than what name we gave a folder the last time we used it. Okay, some do. But not all of them. There are quite a lot of them and most of them are cheap or even free. That means that wherever your team is working from and however much money they make per month, they can still use the software package. And obviously, that’s a big advantage if you want your team to be globally located or if you bring in new people on a regular basis. After all, you don’t want them to have to pay for the software even though they’re only going to be doing one project with you. Nor, for that matter, do you want to use up one of the slots on some kind of expensive paid package for the same reason. Time, as they say, is money. That’s why any tools that can speed up how quickly and easily we can work together is going to be very interesting. Personally, I didn’t think collaborative tools would help me much. Then I was forced to use one. After I got over the initial learning curve, I was very quickly converted indeed. Now I’m actually one of the first people to suggest that when we start working together as a group, we should start using some kind of collaborative tool. For that quicker we all start to do so, the better off we’ll all be and the easier it will be to look up notes, suggestions, and files that we worked on. I'm a UK native writer, a digital marketing guru with strong entrepreneurial underpinnings and a love for helping businesses succeed. As a difference maker, I hope that my articles inspire and help my readers.